We almost certainly don't know all of the Pools in Serbia. Are you missing any? Contact us!. Traveling to Serbia? This is the perfect spot on the internet to find places to swim in Serbia. Each day you're not swimming you will be losing precious time in improving your skills to be a better swimmer! No much more excuses! Find your nearest Serbia Swimming Pool and tell us how it went. Please use the get in touch with information provided at each pool profile to check if they are offering aquagym lessons, simply because is not so common to find out an Aquagym in Serbia. Please have a look at the pools swimmers like you've got reported near Serbia. Please, report any Serbia Swimming Pool not listed here. Not all countries would be the same, and swimming rules and regulations are changing from one country to the other. So, if this can be your initial time looking for Serbia Pools, be sure to contact the premises before you drop by. 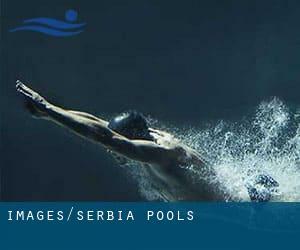 Regular users with the following Serbia Pools told us probably the most vital thing about swimming is to control your breathing. Occasionally this is not possible simply because we raise the neck to breathe and the body just isn't aligned. To avoid this, our head should be aligned with our spine all the time. There are several causes why you should choose a heated swimming pool in Serbia. Essentially the most necessary one relies on the importance of keeping the body temperature stable. If the water is as well cold, your body will try to warm it up and you will lose strength to swim properly. Enjoy the best indoor pools in Serbia and don't worry about the weather. These facilities are open all seasons and you can enjoy a swim at the same temperature every day of the year. Holding an estimated population of 155.591, Zemun is one of the most important cities in Serbia. Check all the Pool in Zemun and its surrounding area. Swimming is a outstanding thought to help keep your body active throughout your visit to Novi Sad (Serbia), or even if you are a local. Swimia helps you to discover your closest Swimming Pool in Novi Sad. Let us let you know a secret to switch off although you are in Belgrade: just choose a Swimming Pool in Belgrade and plunge into the water! There's no extra effective method. Whereas Čačak is one of the six most populous cities in Serbia with nearly 117.072 residents, you shouldn't miss that one if you're going to Serbia. Without a shadow of a doubt, swimming in Kragujevac is the most beneficial approach to unwind after work. Take a couple of minutes to browse Swimia's catalog to find a Swimming Pool in Kragujevac. It's hard to visit Serbia without dropping by Niš (with 250.000 residents). Currently Swimia is showing you all the Swimming Pool in Niš and the closest pools located in its vicinity. Autoput 2 , Novi Beograd , Belgrade (Postal Code: 11000). This sports center gives Olympic size, 8 lanes, Indoors. Contact information for this Swimming Pool just like phone number and email address are number. Ul. ""Ilije Garasanina"" Broj 26 , Belgrade (Postal Code: 11000). This sports center offers Olympic size x 20 meters, 8 lanes, 2.2 meters - 5 meters depth, 2.2 meters - 5 meters depth, Indoors. Contact information for this Swimming Pool including phone number and email address are number. IX Brigade 10 , Nis (Postal Code: 18000). Swimmers like you have reported Olympic size, 8 lanes, Indoors. Also, you will find 25 meters, Indoors. Just in case you want to make contact with this Swimming Pool prior to dropping by, we only know the phone number. Beogradskog bataljona 5 , Obrenovac , Belgrade (Postal Code: 11500). This sports center gives Olympic size, Indoors. For this Swimming Pool, only phone number is number here. Slobodana Kozareva 1 , Lazarevac , Belgrade (Postal Code: Unknown). This sports center provides 33 meters, Indoors. For this Swimming Pool, only phone number is number here. Sjenicka 1 , Belgrade (Postal Code: Unknown). Among all of the activities offered by the center, if you are considering swimming you will appreciate 25 meters, 8 lanes, Indoors. Just in case you would like to contact this Swimming Pool prior to dropping by, we only know the phone number. UTP ´Lepenski Vir´ , Donji Milanovac (Postal Code: 19220). Among all the activities offered by the center, for anyone who is interested in swimming you can enjoy 25 meters x 12.5 meters, Indoors. Just in case you want to contact this Swimming Pool just before dropping by, we only know the phone number. Milentija Popovica 5 , Belgrade (Postal Code: 11070). Among all the activities provided by the center, if you are interested in swimming you'll enjoy 17 meters, Indoors. Just in case you want to contact this Swimming Pool just before dropping by, we only know the phone number. Kneza Višeslava 72 , Belgrade (Postal Code: Unknown). This sports center offers Olympic size, Indoors. For this Pool, only phone number is number here. Crnotravska 4 , Belgrade (Postal Code: Unknown). Among all the activities provided by the center, if you are interested in swimming you can expect to appreciate Olympic size, 2 lanes, Indoors. Just in case you want to contact this Pool just before dropping by, we only know the phone number. Jovana Trajkovica bb , Zrenjanin . Among all the activities provided by the center, if you are interested in swimming you are going to enjoy 25 meters x 33 meters, 10 lanes, Indoors. Just in case you want to get in touch with this Swimming Pool before dropping by, we only know the phone number. Narodni park , Kanjiza (Postal Code: 24420). This sports center gives 25 meters x 12.5 meters, Indoors. For this Swimming Pool, only phone number is number here. Slavke Djurdjevic 3 , Jagodina (Postal Code: 35000). This sports center offers 25 meters, 4 lanes, Indoors. For this Swimming Pool, only phone number is number here. Sutjeska 2 , Novi Sad (Postal Code: 21000). Among all the activities supplied by the center, if you are thinking about swimming you are going to enjoy Olympic size, 8 lanes, Indoors. Just in case you want to get in touch with this Swimming Pool before dropping by, we only know the phone number. Tadeuša Košcuška 63 , Belgrade (Postal Code: 11000). Swimmers like you reported Olympic size, 8 lanes, Indoors. Unfortunately we do not have the email address of this Swimming Pool, but we can give you the phone number.